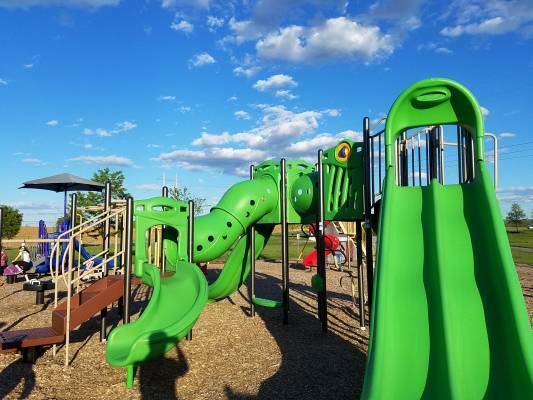 The township is home to several publicly accessible recreation facilities, including a dog park, disc golf course, wading pool, band shell, pavilions, and more. Shippensburg Township Park is its primary park, and a pocket park marks the western end of the Cumberland Valley Rail Trail. The rail trail and Burd Run Nature Trail both provide a way to enjoy nature while learning along the way with interpretive signage. Shippensburg Township Park lies just outside of Shippensburg on the north side of town. The township’s main park is divided into two sections by Fogelsonger Road, bound on the west by Cumberland Valley Rail Trail, and on the east by Britton Road. The northern portion contains most of its sports, recreation, and event facilities, and is accessible by car from Britton Road with entrances at Hornbaker Drive (ball complex entrance) and Mowery Drive (main entrance). The park also serves as a trailhead access point for foot, bicycle, or horseback traffic at milepost 1 of the Cumberland Valley Rail Trail. The southern portion of the park has its own entrance and parking area accessible from Britton Road, and houses the Multi-Purpose iFeld, Burd Run Nature Trail, and the SU Campus Farm, a university-affiliated sustainability project that supplies fresh produce to the campus and community. Most of the park’s facilities are open to the public between dawn and 11:00 p.m., though a few require registration in advance. No alcohol is permitted within the park except when granted with a pavilion reservation and a security deposit. Dogs must be on-leash except when in the dog park. Shippensburg Station is a pocket park at milepost 0 of the Cumberland Valley Rail Trail, and serves as trailhead access point to the rail trail at East Fort Street at North Earl Street. It houses public restrooms, a Little Free Library, and informational signs for visitors arriving and departing town on the rail trail. Parking is accessible through an entrance on East Fort Street, or by cyclists and pedestrians from the rail trail, SU campus. Shippensburg Township Park is a mile away on the trail, just outside of town. 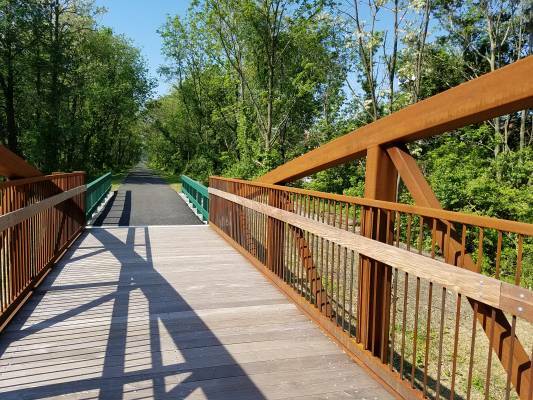 The park project is the result of a collaborative effort led by the Rotary Club of Shippensburg, the township, and the Cumberland Valley Rail Trail Council, the nonprofit that owns and operates the rail trail. The three organizations work to continually maintain and enhance the park. Funding was provided by the township, the Cumberland County Land Partnerships Grant program, the Rotary Club of Shippensburg, and Rotary International District 7390. Future plans for the site include bicycle storage lockers, a drinking fountain, and a concession sales booth that can be reserved for nonprofit fundraising purposes. The Cumberland Valley Railroad Museum, which is being developed by the Cumberland Valley Rail Trail Council, is housed adjacent to the park in a converted Penn Central boxcar. Though owned and operated entirely by volunteers of the Cumberland Valley Rail Trail Council nonprofit, the rail trail is a prominent recreational feature of Shippensburg Township, with its western terminus at the Township-Borough line at North Earl and East Fort streets. 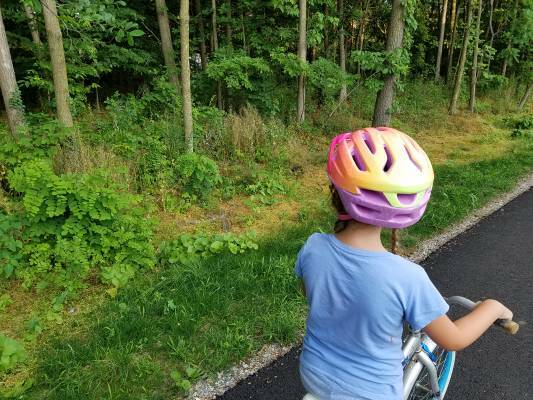 The trail crosses our municipality from south to north, linking the center of the town to the Shippensburg Township Park. The trail borders Shippensburg University and Shippensburg Township Park for most of that distance before heading east through Oakville past Newville. The rail trail currently totals more than 12 miles in continuous length, with more under development. There is also a mile-long section of trail complete off Allen Road near Carlisle that ties into the Borough of Carlisle trail system.